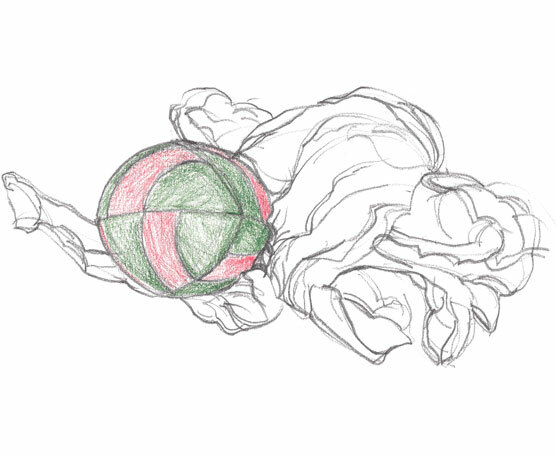 This work is part of a series of drawings referring to a thought about simple movements propagated by a ball. Avital testifies of her work as being a simple and minor act, like a touch, a diversion, an impulse. The object is created in an instance, to be detaches and empowered on its own at the ending point.